Treat your potential customer with respect! iGaming portals try to get new customer in many different ways, usually by giving the customer something when they sign up. I for one am not sure that bonuses are the best way to attract new players, but I am sure it is not the best way to keep them! The best way to keep players playing is to give them a great player experience no matter which device or situation they are in. 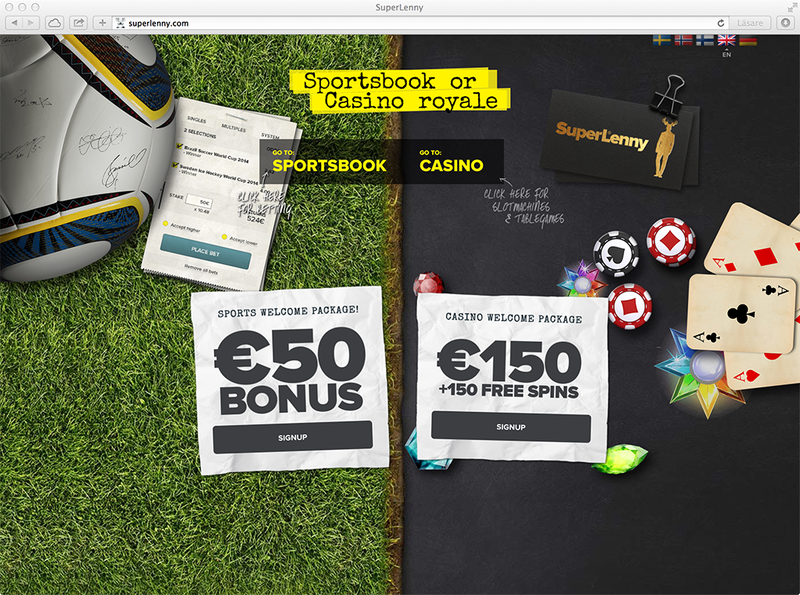 Superlenny.com is a new igaming portal and they are trying to get new players by giving them a “Casino Welcome Package” where the player gets €150 plus 150 free spins. At least that is the illusion you get when you go to superlenny.com (see image 1). If I were a new player then I would assume that by signing up I would get the welcome package so I of course I signed up. But after the registration process there is no indication that I got the bonus. So I did a little bit of digging around the site and found their “Specials” page where it still says that you get 150 free spins and € 150. But here is a read more link and when you go there you find out that you actually do not get the “Casino Welcome Package”. Instead you have to make a deposit of €50 to get a €50 bonus plus 50 free spins. 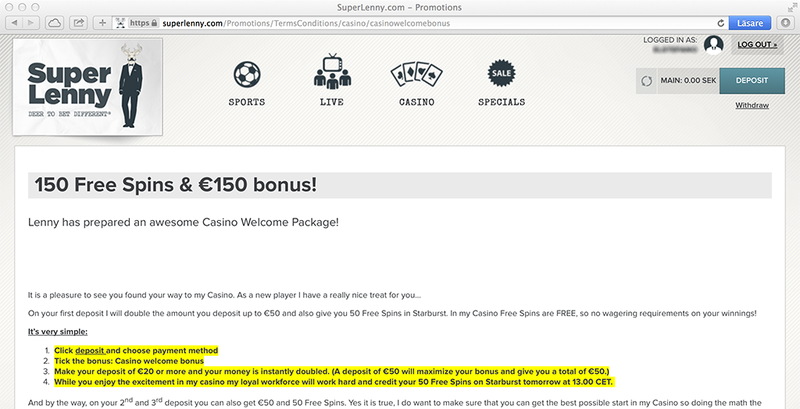 And to be able to get the 150 free spins and €150 bonus money the player actually have to deposit €150 (€50 three times). This is not really what the start page says! And it is not the best way to start a long relationship with a new player!